As the World Wars cooled off, the United States and allied countries fought to retain a monopoly on strong cryptography. Despite the best efforts of the NSA, independent researchers re-invented public key cryptography during the 1970s. Throughout the ’80s, the US government fought a losing battle against the proliferation of strong encryption. Throughout the ’90s, the quest for electronic currency was tied together with the need for secure internet payments. A number of such systems arose — as spirits and stock prices soared over the potential of eCommerce. When the bubble popped, the majority of those payment schemes popped too. Afterward, PayPal came to dominate internet payments, a position sealed by eBay’s acquisition of it. By this time, the infrastructure for credit card payments was also becoming well established. With online payments largely solved, the dream of digital cash was left mainly to the Cypherpunks. After 30 odd years, some trial and error, Bitcoin was born. The same year, Chaum is credited with inventing digital cash with the publication of Blind Signatures for Untraceable Payments. In 1990, David Chaum founded DigiCash to provide secure anonymous payments — supporting the first-ever electronic payment, four years later. Around that time, Tim May published the cypherpunk mailing list’s unofficial FAQ, where Chaum’s 1985 paper “Transaction Systems to make Big Brother Obsolete” is included as recommended reading for aspiring cypherpunks — along with 1984, The Shockwave Rider, Atlas Shrugged, and True Names. While David Chaum’s ideas inspired the birth of the Cypherpunk movement and other efforts to create electronic cash, DigiCash did not rise to success. Chaum was said to be hard to do business with, and require too much control over his creation. He reportedly turned down a $100 million offer from Microsoft, saying DigiCash was worth more. By 1995, electronic payments emerged, evidenced by a comprehensive list produced by the World Wide Web Consortium. A number of these payment schemes included a digital token that could be authenticated independently of the issuer. At this time, Researchers at the Information Sciences Institute of USC were creating a research prototype for an electronic payments system called NetCheque, having an anonymous payments layer called NetCash. Cybercash is another example that built upon the protocols used for credit card transactions. In 1996, Cybercash created CyberCoin, a digital currency and micropayments system. I am fascinated by Tim May’s crypto-anarchy. Unlike the communities traditionally associated with the word “anarchy,” in a crypto-anarchy, the government is not temporarily destroyed but permanently forbidden and permanently unnecessary. Wei Dai builds upon the idea of HashCash, proposing what seems to have been a prototype for Bitcoin. Each transaction is broadcast to the entire network, and copies of the ledger are kept by its users. It also contains a seed of the idea for “slashing” that is used in Proof of Stake blockchains. Its users would place some currency in a deposit, subject to fines in the case of misconduct. Wei-Dai’s B-money is another one of the eight references found in the Bitcoin whitepaper. Beenz was an early click-working site that went online in 1998. Its users were rewarded for their attention with the Beenz currency. Following in the footsteps of Beenz.com, Flooz established a similar service a year later, in direct competition with Beenz. Beenz signed hundreds of partnerships and had as many as 1.9 million visitors near its peak. Published at the time, What’s it Like to Work at Beenz.com? reminds me of 2017’s ICOs. Flooz had Whoopi Goldberg as a spokesperson and even began accepting Beenz in exchange for Flooz. For a while, it seemed that Flooz would become a dominant online payment scheme until the FBI informed Flooz that $300,000 of its currency was purchased with stolen credit cards. It didn’t take too long from that point before Flooz declared bankruptcy, Beenz following suit shortly after. Other digital currency schemes also arose and fell throughout the dot-com boom. By the time the dust settled, online payments were largely solved. 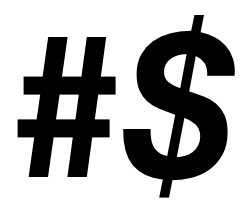 From that point, the quest for digital currency was left mainly to the cypherpunks. 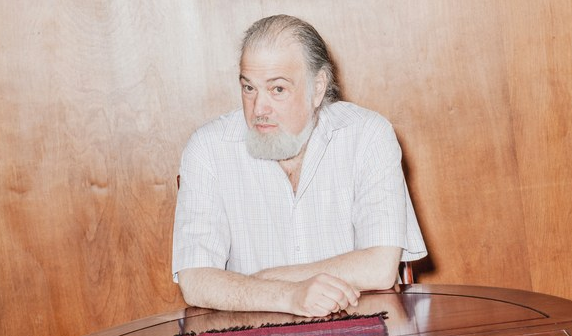 Peppercoin was a cryptographic system for micropayments, Developed in part by Ron Rivest (the R of RSA), proposed at the RSA Conference in 2002. To overcome the cost of processing a multitude of tiny transactions, it paid out only occasionally, using statistics to determine a proportionally correct amount to send. Ingenious though the system may have been, micropayment schemes have universally failed to capture a share of the market. The problem, in a nutshell, is that our money currently depends on trust in a third party for its value. Bit Gold builds upon Hashcash style PoW and refines B-money’s idea of a distributed database. Although Bit Gold never saw production, it’s clear that the Cypherpunks were getting closer to creating a digital currency that would stand the test of time. Gold Age Inc. was the Internet’s first digital currency exchange, founded by Arthur Budovsky and Vladimir Kats in ’99. In 2006, its owners faced charges in New York for operating “an illegal financial business.” The duo immediately fled to Costa Rica and opened shop with a new name, The Liberty Reserve. In 2013, the company was brought down by US Federal prosecutors, after an investigation spanning 17 countries. From the cryptographers turned activists of the ’70s and ’80s, to the Cypherpunks of the ’90s. 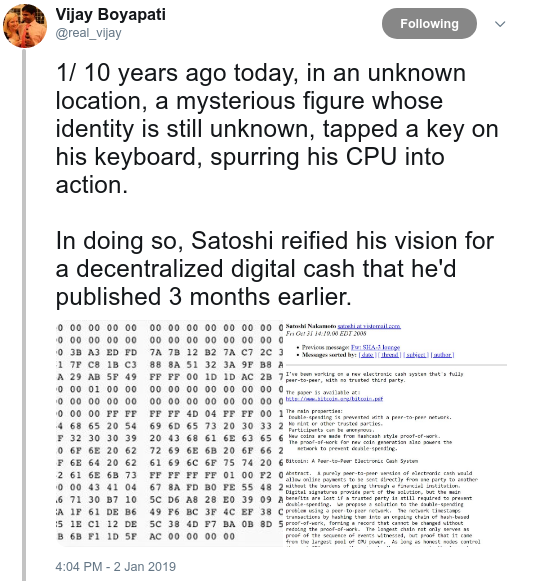 Reading the stories of cryptographers such as Whitfield Diffie and Martin Hellman, David Chaum, Phil Zimmerman, Tim May, Eric Hughes, Adam Back, Wei Dai, Hal Finney, Nick Szabo, and the others… I begin to feel that they are all Satoshi Nakamoto. Regardless of who wrote the whitepaper, Bitcoin is not the product of any one particular individual. Rather, it emerged organically from a community sharing common goals.